N. Jeremy Kasdin is a professor at Princeton University in the Mechanical and Aerospace Engineering department with an affiliated appointment in Astrophysics. Since July 2014 he has been Vice Dean of the School of Engineering and Applied Sciences. Prof. Kasdin received his BSE from Princeton University in 1985 and his MSE and Ph.D. in 1991 from Stanford University’s department of Aeronautics and Astronautics. From 1991 to 1998 Prof. Kasdin was a project manager and the chief systems engineer for NASA's Gravity Probe B spacecraft, a satellite test of Einstein's General Theory of Relativity (GP-B was launched in April, 2004). 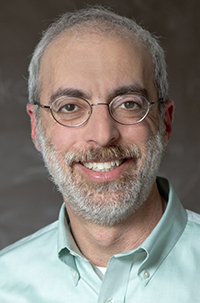 Prof. Kasdin joined the Princeton faculty in September, 1999, where he researches space systems design, astrodynamics, control and space telescope optics, with a particular focus on exoplanet imaging. After coming to Princeton, he created the collaborative team investigating high-contrast imaging techniques for detecting and characterizing terrestrial exoplanets. That group has pioneered the use of pupil-plane coronagraphs and external occulters for space based imaging. The Princeton team has also developed some of the key techniques for wavefront control with a coronagraph. Princeton led the astrophysics mission concept study for THEIA, a 4-meter telescope with an external occulter for exoplanet characterization and UV imaging. Prof. Kasdin has led several Technology Demonstration for Exoplanet Mission studies for NASA analyzing both coronagraphs with wavefront control and external occulters. He currently sits on the Science Definition Team for the WFIRST-AFTA mission. Prof. Kasdin is also principal investigator for the CHARIS instrument (Coronagraphic High Angular Resolution Imaging Spectrograph), a high-contrast exoplanet spectrograph to be installed on the Subaru telescope at Mauna Kea in Hawaii in 2016. Prof. Kasdin teaches classes in introductory and advanced dynamics, space mechanics, and space system design. He is the recipient of the 2000 E. Lawrence Keyes '51 Faculty Achievement Award. He is an associate fellow of the AIAA and member of the AAS, ASEE and SPIE. He has served on numerous NASA committees and was a member of the Particle Astrophysics and Gravitation Program Prioritization panel of the 2010 Decadal Survey for Astronomy and Astrophysics.